Father’s Day in History: In Catholic Europe, Father’s Day has been celebrated on March 19, (marked as St. Joseph’s Day) since the Middle Ages. This celebration was introduced by the Spanish and Portuguese to Latin America, whereas many countries in Europe and the Americas have adopted the U.S. date, which is the third Sunday of June. 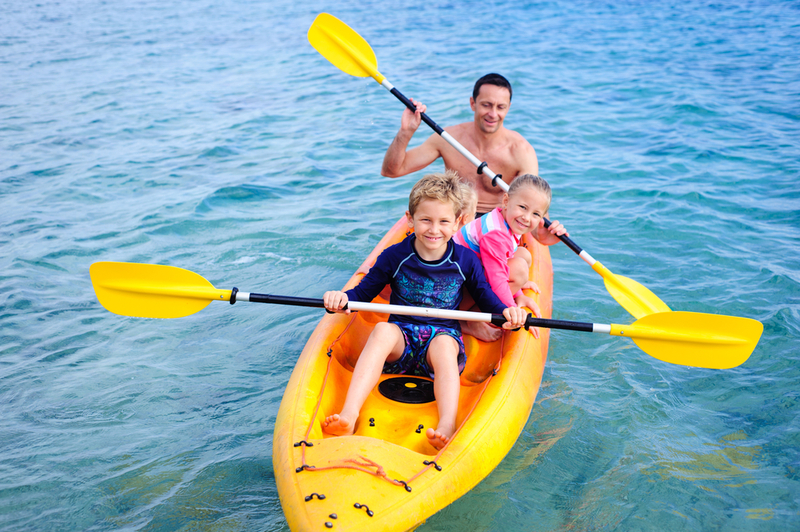 For Father’s Day we recommend using a double seated kayak or canoe to help develop team building with your awesome dad. The difference between a canoe and kayak is based on the shape of the vessel and the type of paddle that is utilized. A canoe is an open vessel in which the person either sits or kneels inside the canoe, while using a single-bladed paddle to push the craft through the water. Kayaks are an enclosed vessel in which the person sits inside with their legs extended. A double-bladed paddle is utilized for this style. The benefits of these water activities goes far beyond bonding on the holidays: this beneficial sport will improve your aerobic fitness, muscle strength, flexibility, cardiovascular fitness, and reduce risk of wear-and-tear on joints and tissues. Whether you take a weekend trip, an extended journey, or even a stay-cation in your backyard, pitching a tent to sleep outdoors is one of the most therapeutic ways to feel grounded and de-stress. Let’s not forget to mention how special the bonding time is under the starlit sky… a place which is void of light pollution, where you can spend hours identifying constellations, roasting s’mores while telling stories over an open fire. Try Dandies All Natural Marshmallows as your vegan and animal-friendly alternative. 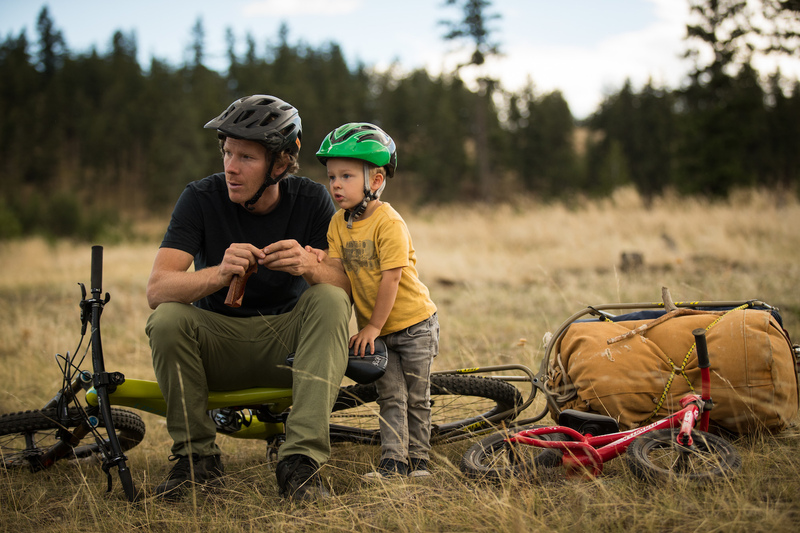 Mountain biking is a thrilling and exciting way to enjoy the many health benefits of regular fitness and cardiovascular exercise. Melt away unwanted fat, reduce stress levels, and lower risk of heart disease. Take a dive in the ocean or your closest salt water pool to reap the many benefits! Salt water contains vital elements, vitamins, mineral salts, trace elements, amino acids and living microorganisms that can produce antibiotic and antibacterial effects to help promote a healthy immune system to support your mood and overall well-being. While having fun under the sun be prepared with natural sunscreen to keep everyone from becoming sunburned and be ready to welcome that Vitamin D. Vitamin D has multiple roles in the body, helping to maintain the health of bones and teeth, support the health of the immune, brain and nervous system, stimulate absorption of calcium, reduce the risk of diabetes, rheumatoid arthritis and support lung function and cardiovascular health. Hiking through the mangrove and other otherwise tree shaded areas is a wonderful activity for dads and children to plan for during Father’s Day weekend, or any time during the summer. Find a local park preserve with hiking trails. Pull together a backpack with healthy snacks, water, cold-pressed juice (on an ice pack), natural sunscreen, a mini first aid kit, and a local species field guide. Enjoy site-seeing and identifying the wildlife in your area! Treat your dad to his favorite grab-n-go treats, wraps, and nutrient-dense cold-pressed juices! Grab a cooler and fill it with a sufficient amount of ice to keep everything chilled during the hot summer afternoons. We all know many dad’s love their grill! Marinate some portobello mushrooms, zucchini, squash, bell peppers and corn. Slap them on your pre-heated grill and then gather your family & friends to share in this tasty home-made meal. Visit Local State Parks to engage in all of the above activities described above.